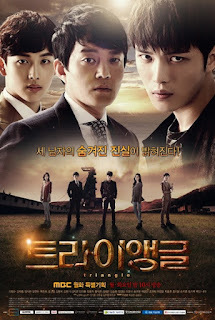 Cast: Kim Jae Joong, Lee Bum Soo, Im Si Wan, Baek Jin Hee and Oh Yeon Soo. 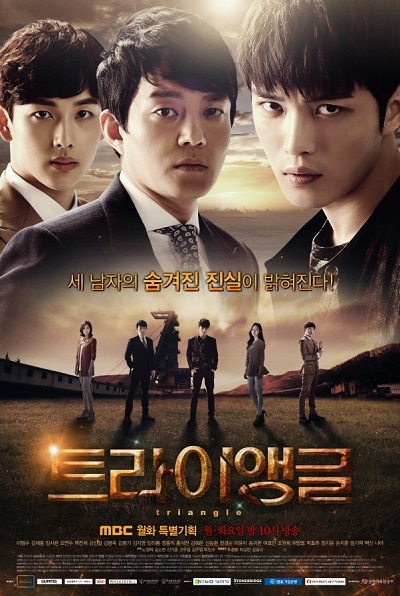 This drama follows three brothers, separated as children, spread to different walks of life, and reunited by fate. Jang Dong Soo (Lee Bum Soo) is a cop with a horrible temperament. As a child, he was separated by his younger brothers, which he feels guilty about. After another failed arrest on mobster Go Bok Tae, questions about his mental health arise, and profiler/psychologist Hwang Shin Hye (Oh Yeon Soo) is asked to asses it. The two had known each other in the past, and he had lived with her family after loosing his siblings. At the same time, Heo Young Dal (Kim Jae Joong) a jobless gambler, devotes most of his time spending money, he had blackmailed from older women, on gambling. After being busted by Dong Soo, he is reluctantly put to work as an informant, to smoke out Go Bok Tae. One evening Young Dal meets and falls for Oh Jung Hee (Baek Jin Hee), who works a dealer. There the two also meet Yoon Yong Ha (Im Si Wan), the adopted son of a rich CEO. Soon Yong Ha starts to get interested in Jung Hee, and a dislike for Young Dal. In the past I’ve been complaining about too coincidental situations and relationships, but this time around, I didn’t feel annoyed at the fact that the three brothers “happened” to meet each other like they did. And I think it is because you know it from the start, so you are just expecting it. You wait till they finally share screen together, and hope they’ll know who the other one is. This made the “coincidence” seem less like a coincidence, but more like actual fate. I like that the three had different, some more realistic than the other, reactions to the fact that they are related. The three male leads are alright, though the main focus is Jae Joong - everyone loves an underdog - and most of the screen time belongs to him. But you still get the other stories. I didn’t like how little the females were involved, basically just for the love story aspect (three-way love story) and a little bit of the memory part, else they were useless. The amount of gambling in this drama just bores me. I guess some people find it interesting, but for the average viewer who has no interest in it, I almost fell asleep. And it just took way too much time.